It would include a way to tell an interesting story in a small space. This weekend, my husband and I were working in the garden and as we worked we started talking about the ‘best’ garden tool. We finally agreed that if we could have only one garden tool, it would be a pick-mattock. In the kitchen, it would definitely be good chef’s knife. In visualization, it would definitely be a scatter plot. No contest. Of course, you can always plot one data point against the other to see how they are correlated. Add color and point size and you can tell a rather interesting story in a small space. And, by using more calculated values instead of the raw data, you can answer so many more questions. 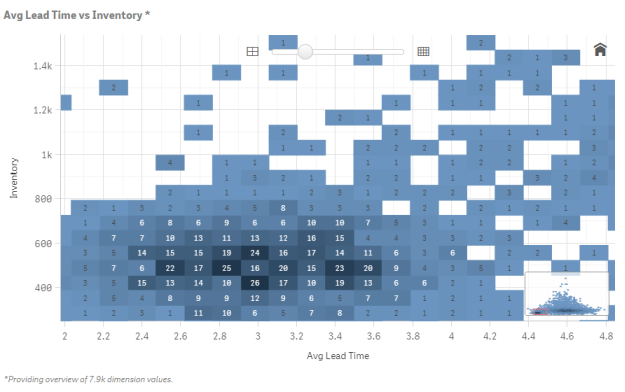 What I am most excited about right now however is the new scatter plot matrix that was launched with Qlik Sense 2.0. 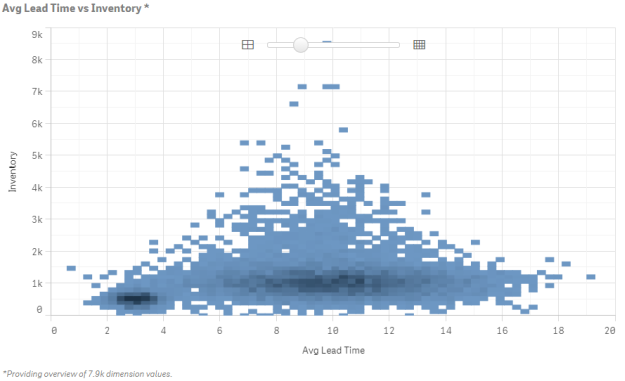 As a scatter plot addict, I am seriously in love. This takes scatter plots to a whole new level. Typically, if you wanted to plot a large amount of data onto a scatter plot, you would end up with something that looks like an ink blot test. What's your favorite kind of #dataviz? 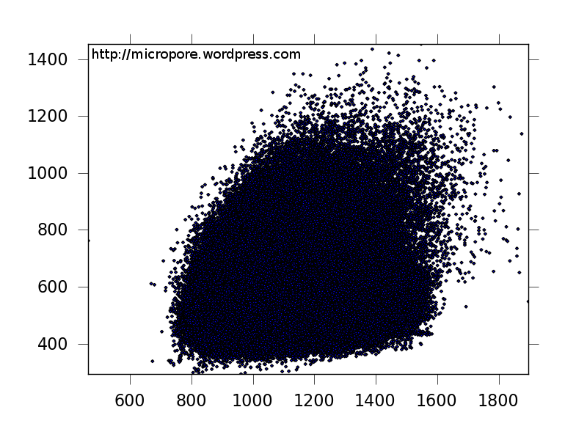 We take a look at a fan favorite: the scatter plot. 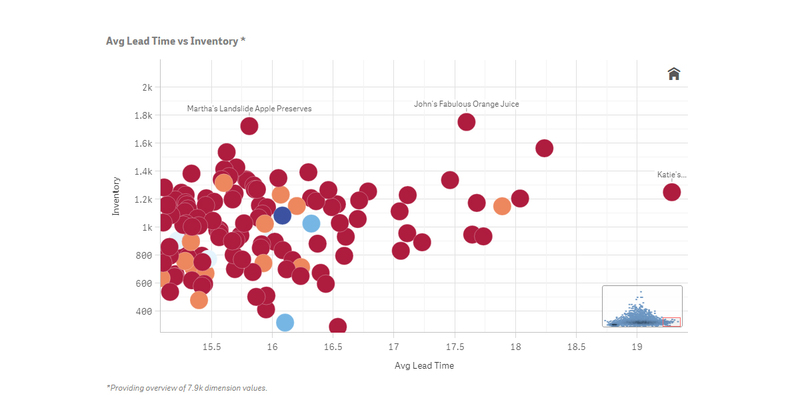 However, with Qlik Sense, the scatter plot adjusts in order to give you the best view of the data…no matter how many points you are trying to display. When there are too many points to make sense of, it displays a heat map allowing you to see areas of density. As you zoom in, it slowly provides you more detailed information. Here you can see the number of points in each area of the chart. Finally, it displays all of the points. But even here, the visualization is smart and only displays the labels that fit nicely. 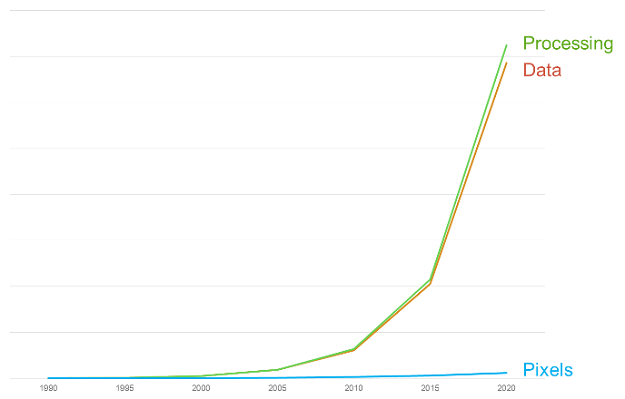 This kind of ‘smart’ visualization is critically important as we discuss the world of big data. As processor and storage capacity have increased substantially over the past decade or so, the ability to display and visually process information has barely moved. 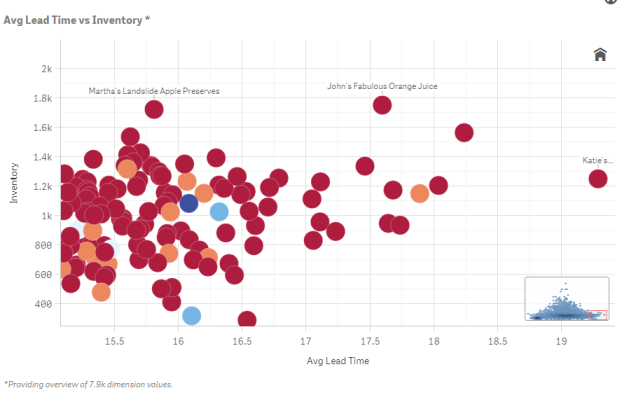 If you haven’t had a chance to play with the new scatter plot capability in Qlik Sense yet, check out the Consumer Goods demo app and the Sales Rep Performance sheet. What’s your favorite visualization and why?